Celebrate Baby’s first Christmas with this Personalized Christmas baby blanket. 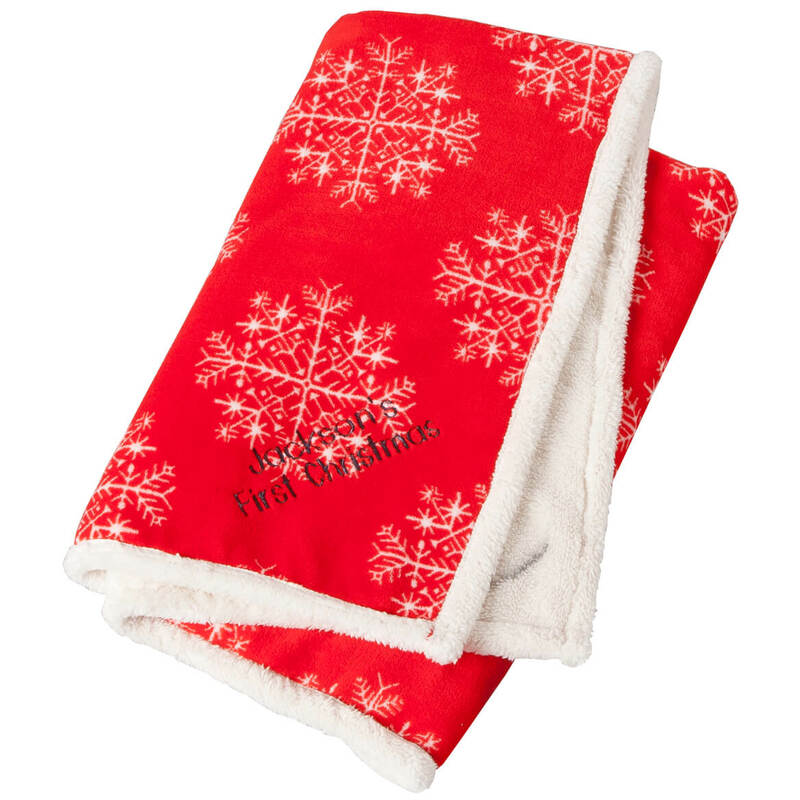 Cradling little ones in light, luxurious warmth, our plush, double-sided blanket features snuggly snowflake-print fleece on one side, reversing to ultra-soft sherpa. Perfect for grandbaby, niece, nephew or any little bundle of joy; we’ll embroider with the custom blanket with name and year or message for one girl or boy! Specify name/year/message; limit 2 lines, 15 letters/spaces each. “First Christmas” is not standard. 100% polyester; machine wash. Personalized blanket measures 36″ x 40″. Imported. 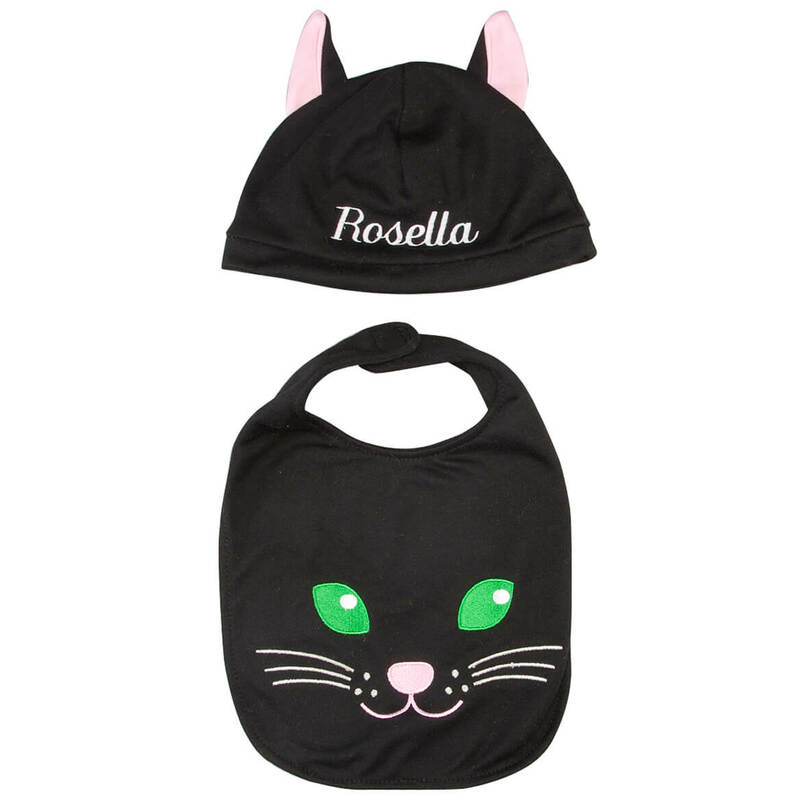 For Halloween fun and adorable photos, look no further than our personalized Black Cat Hat and Bib set! The cat-eared custom hat keeps little ones cozy, while the matching bib fends off dining mishaps in darling style. Detailed with a cute kitty face, the baby bib features hook-and-loop closure, offering generous coverage at 8″ long x 5″ wide. We’ll embroider any child’s name to the ultrasoft hat, adding to the fun. Hat size: approx. 3-12 months. Specify name; limit 1 line, 8 letters/spaces. Polyester/nylon; hand wash. Imported. Adorable coming and going, our personalized “4th of July Cutie Pie” onesie will be personalized for your favorite little “Cutie Pie”! Fun for the holiday or any day, the custom onesie features expandable shoulders for over-the-head ease and 3-snap closure for quick diaper changes. 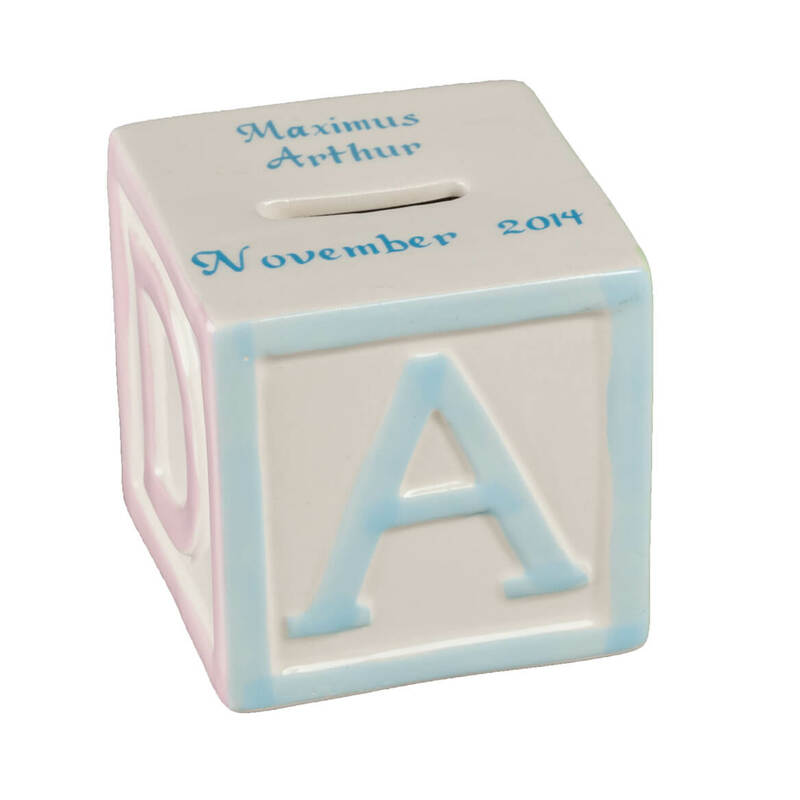 We’ll add Baby’s name in back for the cutest grand finale! Specify name; limit 1 line, 12 letters/spaces. 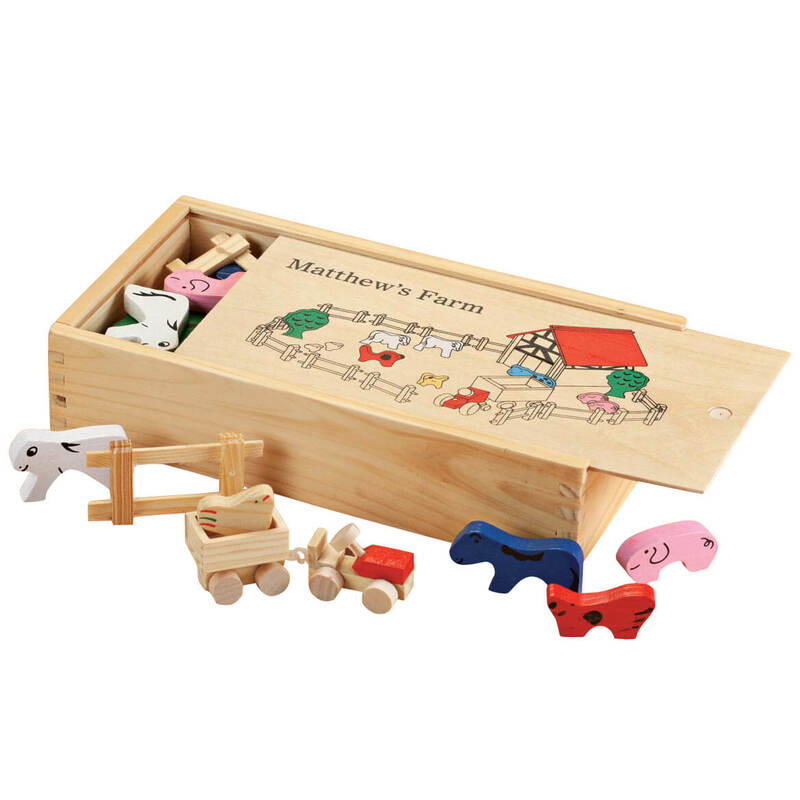 Specify size: 3, 6, 9 or 12 months. Personalized onesie made with 60% cotton/40% polyester; machine wash. Imported.